Encourage your family and friends to book an appointment. 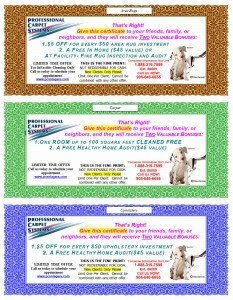 For each new customer you refer to Professional Carpet Systems, we will send you a referral reward certificate worth 10% of your referral’s cleaning investment. 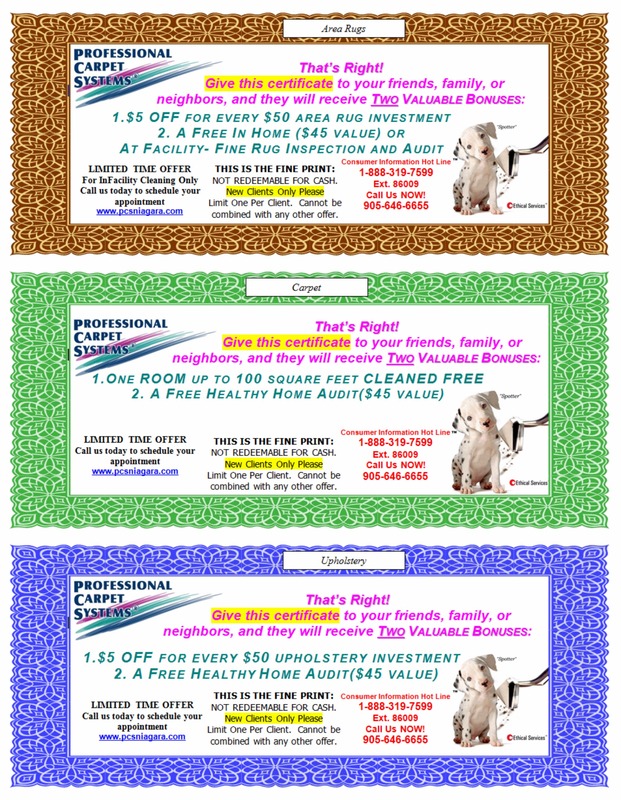 These certificates can be treated like cash – mail us the certificate and redeem for cash or save them and you may be able to clean your house for free!! 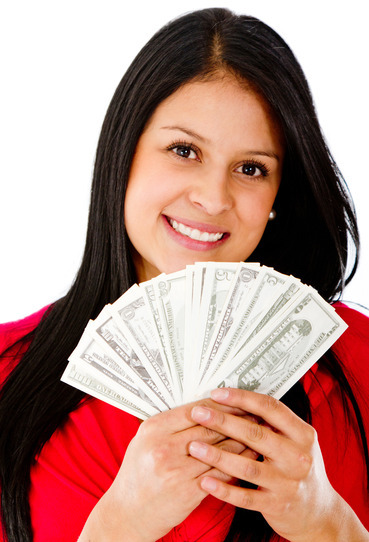 Remember, we guarantee our work, so don’t hesitate to refer us to family and friends. Make the deal EVEN SWEETER!